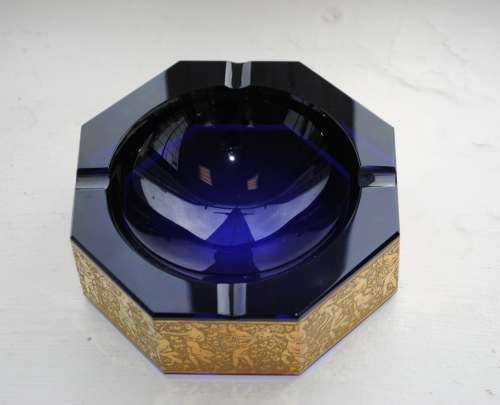 Octagonal Art Deco ashtray by Moser. Gilded freize depicting Amazonian warriors. Original labels and manufacturers mark.